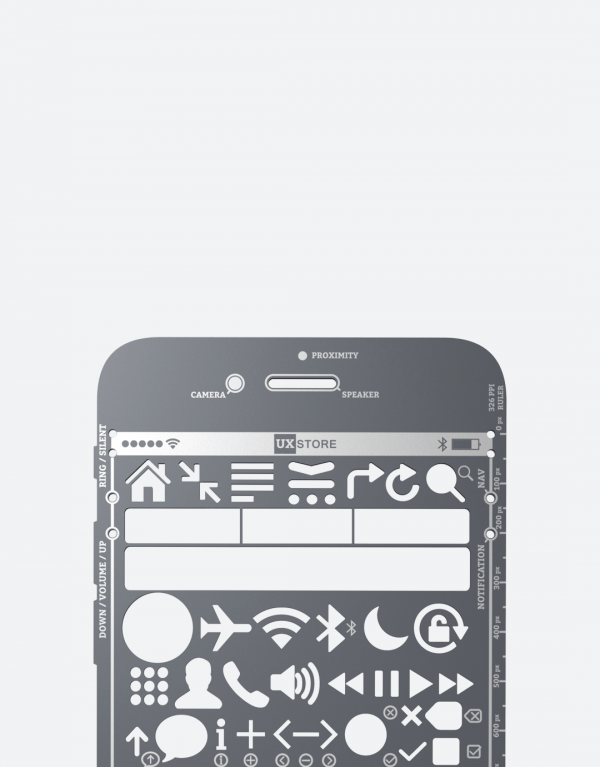 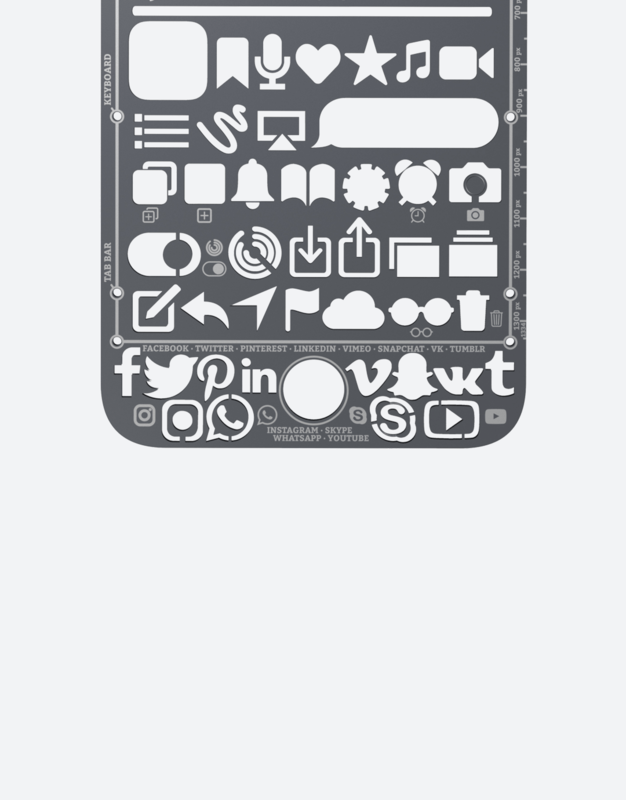 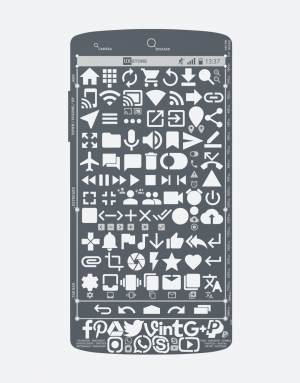 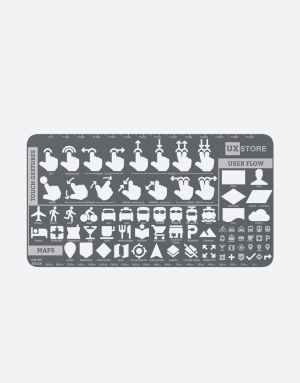 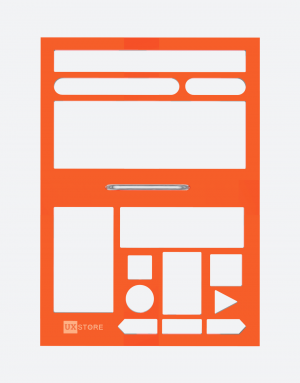 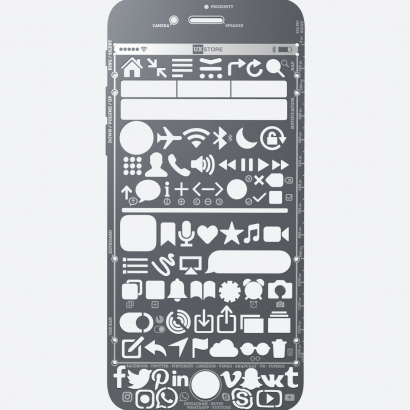 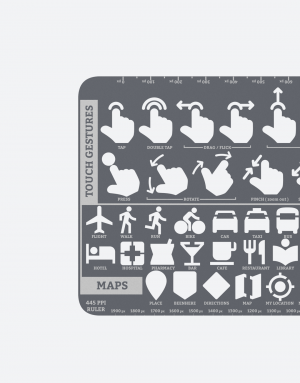 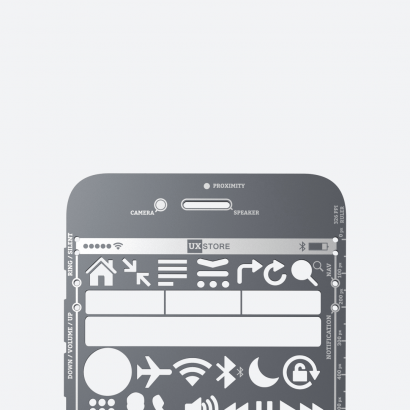 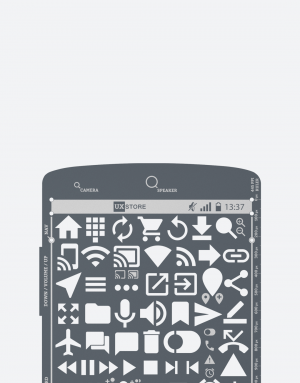 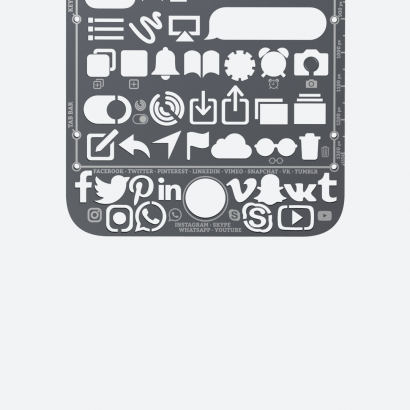 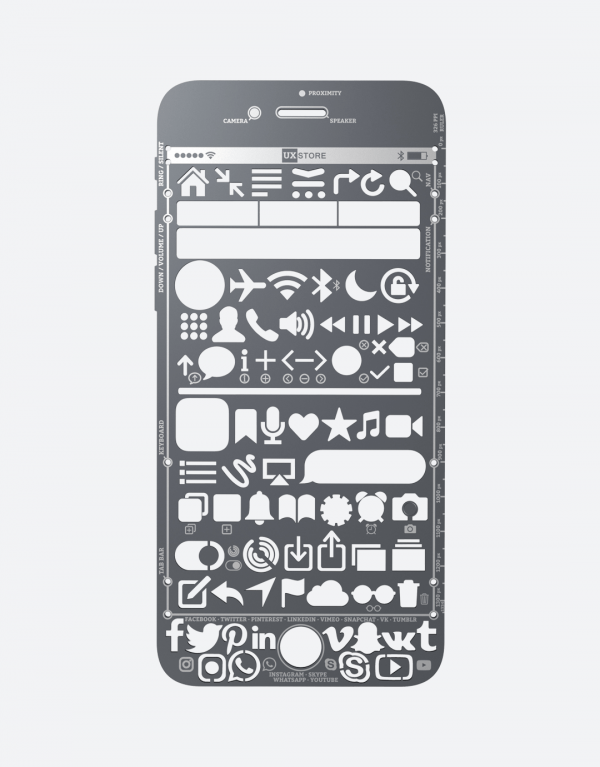 Shape your iPhone app ideas using our stainless steel iPhone Stencil to create precise wireframes on your brainstorm sessions. 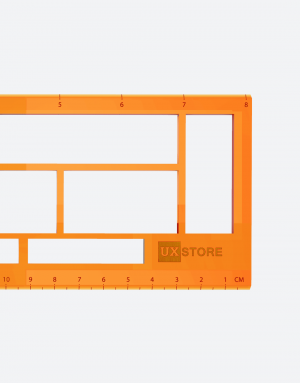 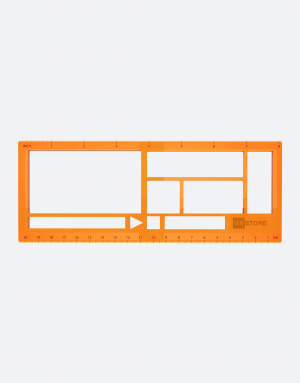 – 3.15″ x 6.61″ ( 8 x 16,8 cm ). 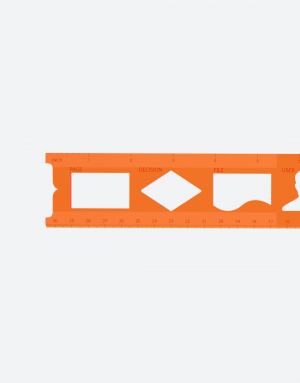 – 326 PPI (pixels per inch) ruler.